Junior’s early success on Motown’s Soul imprint in the ‘60s with ‘Shotgun’, ‘(I’m A) Road Runner’, and a reworking of Marvin Gaye’s ‘How Sweet It Is’, established the dynamic sax man and his band as reliable groove makers. The 1969 release of the now-classic ‘What Does It Take (To Win Your Love)’ proved to be a game-changer for Junior, setting the stage for a new decade of recordings that clearly showcased his innovative ability to add his own musical stamp to a diversity of pop, rock, jazz and R&B material. 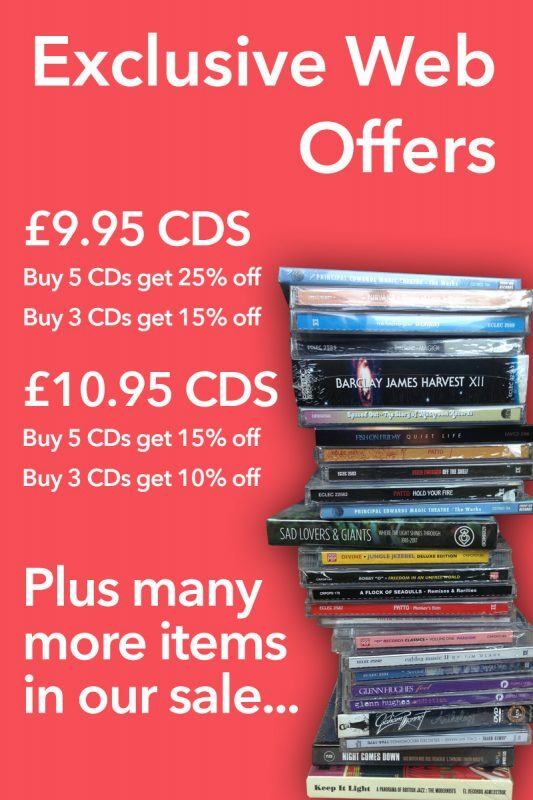 Disc One comprises 1970’s “A Gasssss” and 1971’s “Rainbow Funk,” both produced by Johnny Bristol; the (20) tracks include ‘Do You See My Love (For You Growing)’, ‘Carry Your Own Load’ and ‘Take Me Girl, I’m Ready’ (one of Jr. Walker’s three UK hits of the ‘70s). Disc Two (with the charted hits ‘Way Back Home’, ‘Groove Thang’, ‘Walk In The Night’ and ‘Gimme That Beat’) features 1972’s Johnny Bristol-produced “Moody Jr.,” and the 1973 set, “Peace & Understanding Is Hard To Find” which marked a change in creative direction with production by Motown stalwarts Hal Davis, Willie Hutch, Gloria Jones & Pam Sawyer and Junior himself. Disc Three consists of 1974’s jazz-flavoured “Jr. 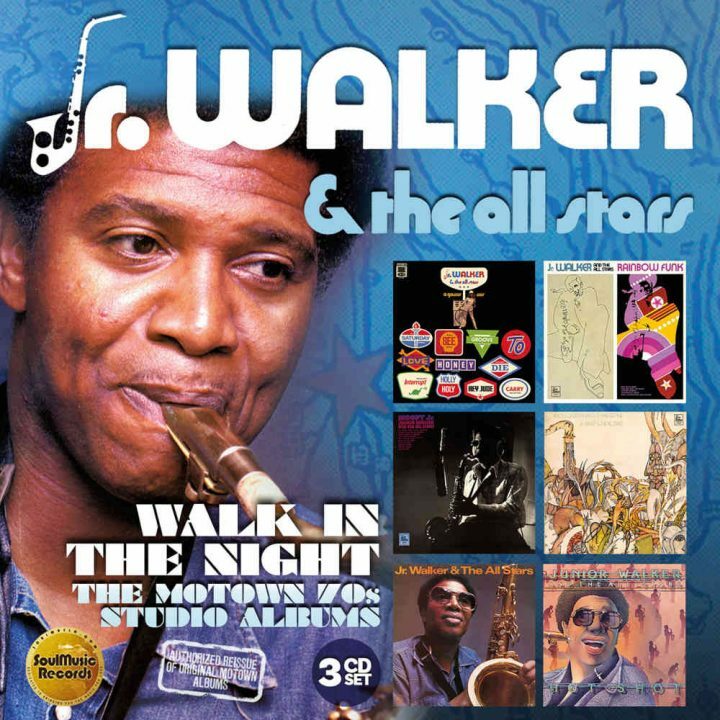 Walker & The All Stars,” primarily produced by Clarence Paul (who worked consistently in the ‘60s with Stevie Wonder, who guests on two tracks, ‘You Are The Sunshine Of My Life’ and ‘All In Love Is Fair’); and the 1976 Brian Holland & Lawrence Horn-produced “Hot Shot,” (which includes ‘I Need You Right Now’ featuring Thelma Houston).